Indie developer Mecha the Slag has shared that their recent project, A Hat in Time, may eventually see release on Wii U through the Nintendo eShop. 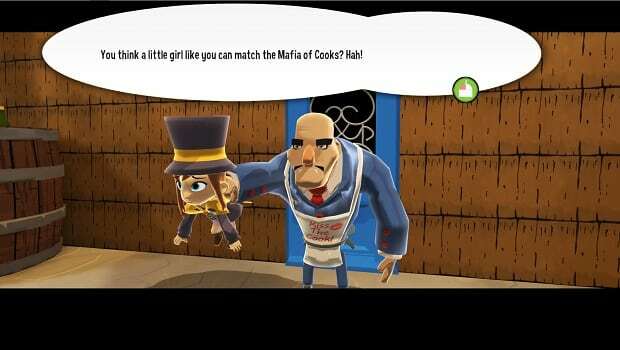 The game is described as being a “collectathon adventure game,” in which you traverse five worlds as Hat Kid – the evil Moustache Girl causing havoc across them. A multi-use umbrella is your trusty tool, able to be used as a melee weapon, hookshot and propeller. A Hat in Time takes inspiration from classics in the genre, including Banjo-Kazooie, Conker’s Bad Fur Day and Donkey Kong 64, and enables players to use time travel to change the course of the game’s story. A Hat in Time is currently set to release on Steam Greenlight in summer 2013, and will also hopefully make it onto the Nintendo eShop.